The Itsy Bitsy Spider Crochet: I'm a winner! Well, of course I am... because mom always told me so, but this time I get a prize to prove it! 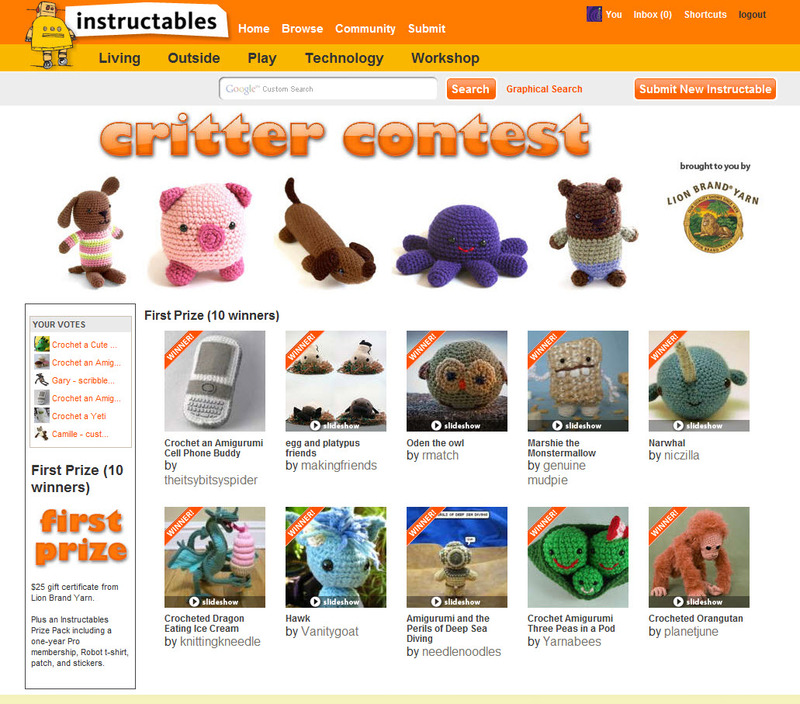 My amigurumi cell phone buddy instructible won one of ten first prizes in the Instructibles Critter Contest! Can I get a woo-hoo over here?! A big thank you to everyone who voted for my work -- although I did not win in the top five most popular instructibles. But the amigurumi cell phone WAS selected by the "[Instructibles] panel of expert Critter judges," and I will take that any day! If you would like to make your own amigurumi cell phone, hop on over to Instructibles.com for the step-by-step tutorial or check out my free patterns page to get this and my other freebies -- and thanks again!